Espresso or Walnut Laminate. Product Features: A contemporary classic with clean lines and modern silver metalwork. Thermally fused woodgrain laminate is scratch, dent and water-resistant. Commercial-grade 1" thick elevated worksurface stands up to heavy use. Drawers operate on steel ball bearing full-extension glides and accommodate letter/legal filing. Anti-tipping system allows only one drawer to open at a time. Central locking with two fold-away safety keys for a slimmer profile. Leveling glides help compensate for uneven floors. Use freestanding or remove top to slide under any worksurface. 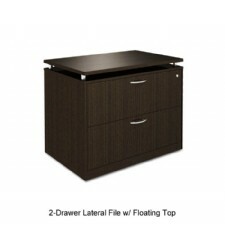 Available in Espresso or Walnut Laminate. 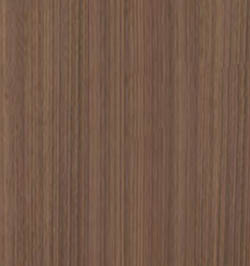 Thermally fused woodgrain laminate is scratch, dent and water-resistant. Anti-tipping system allows only one drawer to open at a time. Use freestanding or remove top to slide under any worksurface.